Two men are dead in Clinton, Maryland, Thursday night after a shooting, police say. 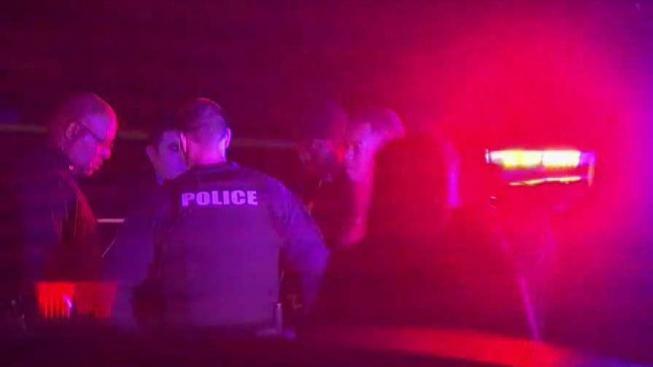 Prince George's County police responded to the 5900 block of Surratts Village Drive where they found a man shot several times and a red Jaguar sedan riddled with bullet holes. The man died of his injuries. It is unclear if he was shot on that road or if he drove after being shot somewhere else. Police said another man walked into a nearby hospital with multiple bullet wounds and he also died. Officers could be seen looking at the Jaguar and talking to a man at the scene. The area of the shooting is mostly residential and not far from Surrattsville High School.